The hand combines two crucial roles in the human body: it is one of our major sensory organs and, unlike other sensory organs, it is also able to act on the gathered information. The pulp of the fingers has a major representation in the human brain, while the biomechanics of the hand ensure that it is a versatile, strong and robust performer. It has, literally, enabled us to mould the world we live in. Impairment of either modality, sensory or motor, produces profound alteration in function. 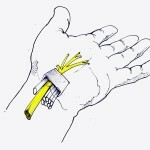 The insensate hand is a ‘blind’ hand. Even if the motor element is uninjured, the hand feels, and is, weak, since the essential feedback information of pressure and grip strength, is missing. The hand also has an aesthetic dimension. It is the only part of our bodies that is constantly on display (even in cultures that cover the face) and the handshake is the one permissible body contact and intrusion into personal space permitted in most societies. Alteration of hand function or appearance has a social impact over and above the impairment of the direct effect on performance. In this regard, function and appearance are intricately related. 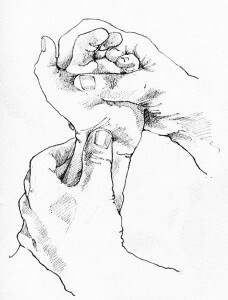 The hand which functions in a fluid, natural manner attracts no attention, even if it is missing, say, a digit. Congenital hand surgery ranges from minor congenital triggering, to major absence of digits or thumb, syndactyly (stuck fingers) or polydactyly (extra digits) or various combinations. This surgery is specialized not only because of the particular requirements of the child’s hand, but also the dialogue with parents, themselves as much patients as is the child. One treats the family, not just the child. The child’s hand requires special awareness of requirements such as the small dimension (and therefore smaller margin for error), timing of surgery and the requirement to produce no impairment to growth. Trauma is generally handled in Trauma centres. It comes as no surprise that the hand is in harm’s way – hand injuries make up the single most frequent surgical emergency in most A&E departments. In the industrial and domestic setting, hands operate machines, tools and knives and are caught on sharp, crushing, grinding or rolling surfaces. Hand injuries range wide, from relatively minor cuts, knocks and bites, to major crushes and amputations. There is scope for repair as well as reconstruction in order to restore function not mere anatomy. Paralysis of all or part of the hand often requires ingenious transfer of functioning tendons to replace inactive ones, enlisting less vital muscles to perform more crucial roles, such as thumb opposition. Sport injuries and problems in Musician’s hands form a special category since both not only have high demands of hand function, with little or no room for imprecision, but the function and achievement of such hands form an integral part of that person’s identity. Sportsmen have deadlines, selection trials, short careers and often demand treatment which will keep them ‘on the road’. Musicians have fine margins of error, small imprecisions making huge differences to their performance. Often the surgeon’s management will include a review of posture, style of play, modification of an instrument – The adjustment of a violin bridge height may be as effective as surgery in resolving impairment of performance. 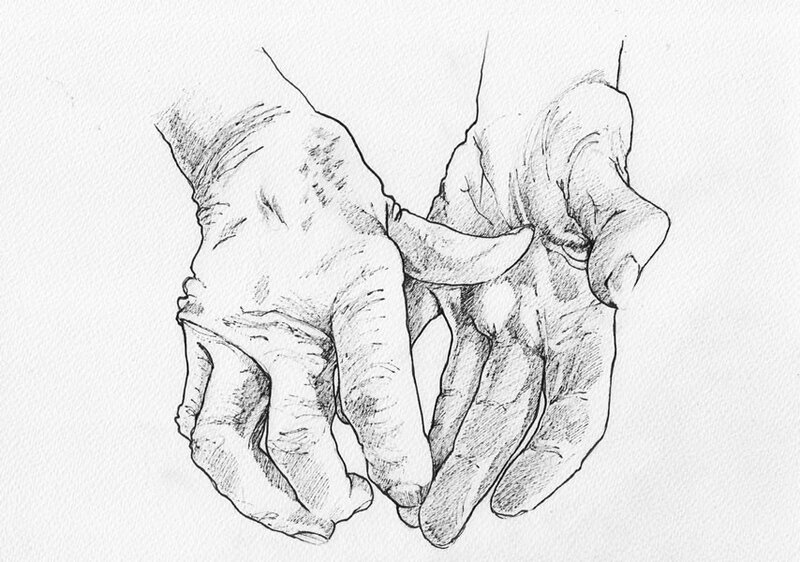 Degeneration of joints and tendons is inevitable, progressive and debilitating, particularly considering that despite the delicate structure of the hand, it is subjected to major forces. Outside of the acute work or domestic environment, joints and tendons are subjected to extraordinary and intense wear – the joint at the base of the thumb is the most frequently worn and symptomatic joint in the body. arthritis and the degeneration of osteoarthritis (due to direct wear) cause ligaments to loosen and the resultant instability accelerates the wear of the joint. Joint surgery in the hand benefits from various modalities of treatment, ranging from the conservative – anti-inflammatories, injections, splintage, to the interventional – surgery to remove, fuse or replace a joint. 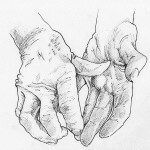 Some, but not all, joints in the hand can be replaced with reliably good results. Benign growths in the hand include the development of Palmar Fasciitis, or Dupuytren’s disease. 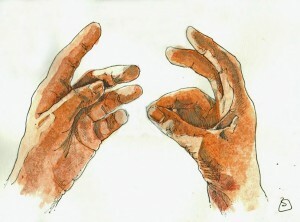 This genetically inherited condition produces a variable contracture in the hand, limiting range of movement of the digits. Ganglia, benign cysts filled with mucin (semi-liquid), communicate with joints or tendons and often develop from wear of these structures. Malignant tumours in the hand are relatively uncommon but one is always vigilant against development of melanoma beneath the fingernail, of a sarcoma or of skin cancers such as squamous cell carcinoma and basal cell carcinoma. Nerve compressions form a particular and large category of degeneration. Carpal tunnel syndrome is caused by compression of the median nerve at the wrist. Cubital tunnel syndrome is caused by compression of the ulnar nerve at the elbow. 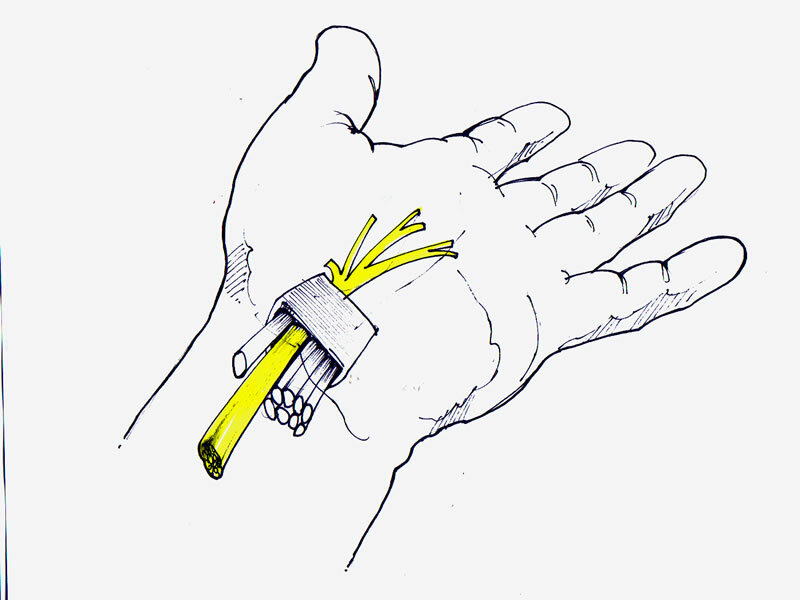 These are the two main nerves supplying the hand. Carpal tunnel syndrome is the commonest nerve compression in the body – carpal tunnel release is the most frequent operation in a hand surgeon’s practice. In some, but not all, cases nerve conduction studies are required as a preliminary to surgery. The vast majority of hand surgery is performed as an outpatient with a minority of patients staying overnight. Following surgery it is crucial that the hand be elevated, in order to minimize swelling. On a practical level, most hand surgery can be performed under regional anaesthesia at various levels and with the patient awake. The nerves which supply the arm, forearm and hand, all travel via the neck, and armpit and it is possible to place local anaesthetic and block them temporarily anywhere along their course. The entire arm can be anaesthetized from the neck down, or from the level of the wrist, or even a single digit. Virtually all hand surgery is performed using an accurately timed tourniquet and is bloodless – this makes surgery precise since there is no bleeding to obstruct the view. Most hand surgeons will use magnification for all operations. Like all other surgical fields, Hand Surgery is constantly developing and it is important constantly to question current practice, assess and audit and look at old problems with fresh eyes. The perennial problems in hand surgery include adhesion of moving structures, the development of scar which impairs function, the relatively poor results of nerve growth and regeneration, the development of neuroma (tender ends of cut or injured nerves), cold intolerance. The advent of total hand transplantation is a particularly dramatic and recent development – strict criteria of selection and assessment apply, along with the involvement of a multidisciplinary team and a complex structured programme. This is limited to few, highly specialised centres around the world. Restoration of function is the goal of all hand surgery. The hand is all about movement and gliding surfaces. In one sense, surgery can be regarding as an enabler of the post operative therapy and guided movement which then restore function. All aspects of hand surgery benefit from a close collaboration between surgeon and therapist as well as the investigative team, such as specialists in MRI, CT scans, Ultrasound. It is especially important in Hand Surgery to answer all, or most, questions before embarking on surgery, and to have a plan that is clear to both surgeon and patient. Collaboration, compliance and assiduous work in the therapy room are vital adjuncts to surgery. The passive, non-compliant patient or one who is in the dark about the treatment, rarely does well despite technically competent surgery. The perception of surgery is that it all occurs in the operating theatre. In fact, the process of examination, diagnosis, formulating a plan, explaining and enlisting the understanding and cooperation of a patient is crucial to hand surgery – indeed to most other surgical specialities. 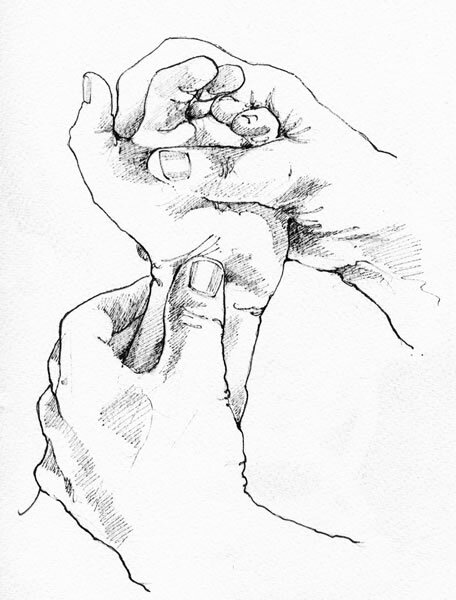 While the technique of hand surgery must be precise, informed, expert and atraumatic, it is in the Consulting room that the more important (and challenging) work is achieved.